In high school, I was on the newspaper staff and loved my journalism class. In college, I took more journalism courses to improve my writing skills and journalistic ability. One of the women we studied was Nellie Bly, a pioneer in journalism and what we might call today an “investigative” reporter. She was born as Elizabeth Cochran on May 4, 1864, in Cochran’s Mills Pennsylvania. She began her career in 1880 at the age of sixteen, writing columns for women on things pertaining to the home, gardening, society and child rearing for the Pittsburgh Dispatch. As was customary, she used a pen name for her writing. 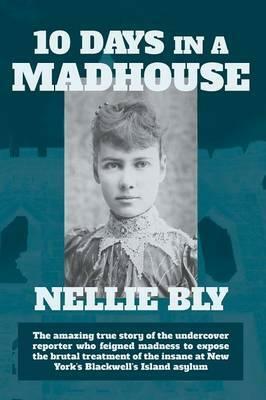 She chose Nelly Bly from the Stephen Foster Song, but it was misspelled in the paper as Nellie and stayed that way. Her editor was so impressed by her writing that she was able to convince him to begin investigating new topics such as divorce and its effect on women. She even went to Mexico for six months as a special correspondent. 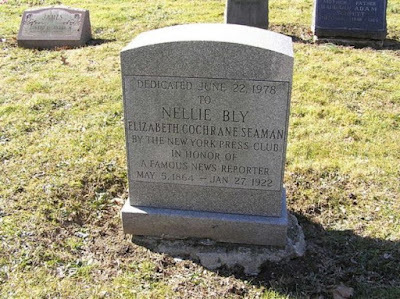 From Pittsburgh, she moved on to New York around 1887 as Nellie Bly and worked on assignments at the New York World, John Pulitzer’s flagship newspaper. Nellie found getting committed to the asylum to be rather easy. She used the name Bly Brown to take a room at a cheap boarding house where she questioned and imitated the women who seemed the most insane to her. Sure enough, she was deemed insane, and the matron of the house had Nellie escorted by the police to the Essex Market Police where a rather impatient judge name Duffy declared her to be insane. He ordered her to the insane ward at Bellevue Hospital, and a few days later, she boarded a ferry for the island in the company of unwashed and uncomprehending women. One of the attendants told her that once she got to that place, she’d never get out of it. She spent a number of days Blackwell’s Island Lunatic Asylum and took careful notes of both her own experiences and those of other inmates. She painted such a dire picture of the mistreatment of inmates and how they experienced a host of abusive treatment from cold baths to confinement in small, locked rooms infested by vermin. She dropped her act of acting crazy and tried to present herself as mentally competent. That went nowhere until the newspaper sent an attorney to arrange for her release. On Sunday, October 9, 1887, the World ran the first installment of her story, and Bly became an overnight sensation. The psychiatrists who had diagnosed her to begin with, apologized profusely, but it didn’t stop the reporting. A grand jury was impaneled to investigate the abuses and poor treatment reported by Nellie. What she discovered became an embarrassment to the city aldermen, and they quickly appropriated a million dollars a year to correct the abuses Bly exposed. About one month after the expose hit, many of the problems she reported were improved. Better living and sanitary conditions were among them as well as more nourishing meals. Even the most abusive nurses and physicians were fired and replaced. remains a classic in the annals of psychiatry and warns against inhumane treatment of the mentally ill.
Another major event in her career occurred when she broke the record set by Jules Verne’s fictional Phineas Fogg in the novel, Around the World in 80 Days. In 1889, it was the fastest journey in her era and she made it around the world in seventy-two days. She became famous for it, and it was widely reported around the world. Nellie went from one journalistic success to the next with a series of dispatches from the Eastern Front during WWI and her reports on the Women’s suffrage movement. Reporting wasn’t her only world. In 1895 she married an elderly Robert Seaman, a wealthy man who ran the Iron Clad Manufacturing Company. Due to his failing health, she retired from journalism to take over the reins of his company. He died in 1904, but carried on with the company. 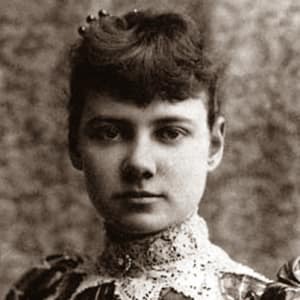 Nellie Bly died at the age of 57 in 1922. Many have wondered what triumphs and good deeds this woman could have accomplished if she’d lived longer. She will long be remembered as the woman who helped change the plight of the mentally ill. Sadly, the treatment of the mentally ill still needs a great deal of attention. Martha Rogers is a multi-published author and writes a weekly devotional for ACFW. Martha and her husband Rex live in Houston, Texas where they are active members of First Baptist Church. They are the parents of three sons and grandparents to eleven grandchildren and great-grandparents to five. Martha is a retired teacher with twenty-eight years teaching Home Economics and English at the secondary level and eight years at the college level supervising student teachers and teaching freshman English. 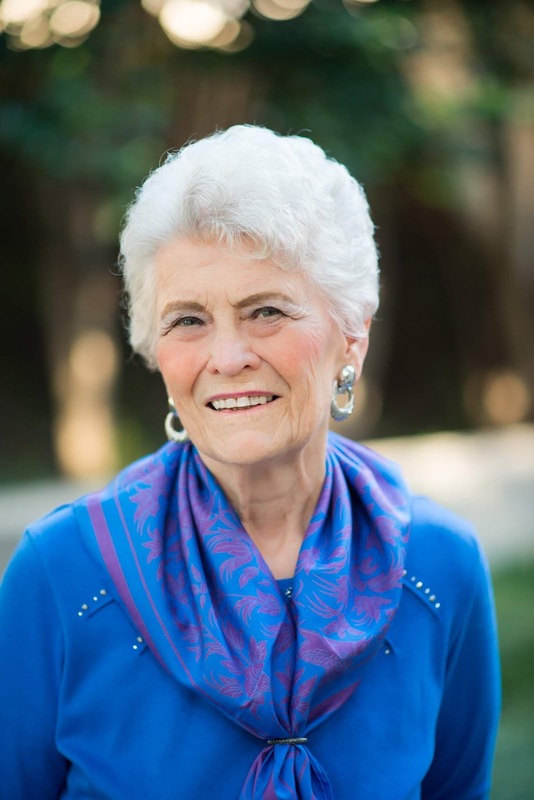 She is the Director of the Texas Christian Writers Conference held in Houston in August each year, a member of ACFW, ACFW WOTS chapter in Houston, and a member of the writers’ group, Inspirational Writers Alive. Wow! I had no idea of Nellie's accomplishments for the mentally ill! Thanks for the post. Martha, thank you for sharing your very interesting post. Nellie was quite a gal!